Transcultural Buddhism: Can mindfulness improve high school students' concentration? Can mindfulness improve high school students' concentration? "...The practice of mindfulness - which draws on Buddhist thinking - has become increasingly popular in recent years. There have been calls for brain-training techniques, using breathing to achieve mental clarity, to be introduced in schools. 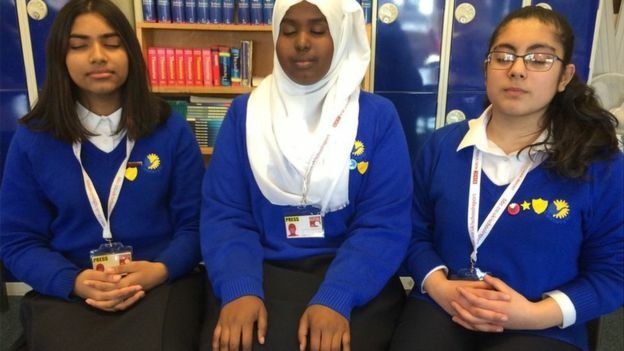 In October, the Mindfulness All-Party Parliamentary Group said the practice should be made more widely available and recommended the Department for Education designate three schools to "pioneer mindfulness teaching and disseminate best practice". Political author and former head of Wellington College Anthony Seldon has called for daily "stillness sessions" in schools, saying a decline in traditional religious assemblies has left students with little space for reflection in the school day. So can mindfulness meditation really help pupils concentrate amid the distractions of 21st Century living? 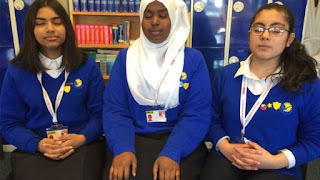 A group of BBC School Reporters from Connaught School for Girls in Leytonstone, east London, decided to investigate... "
"... At the end of the two week experiment, the results were positive. Those who had taken part in mindfulness meditation successfully completed the concentration task an average of 2.15 times more than before, while the results of the control group improved by just 0.69 times..."